Jumpstart your Caribbean investment dreams. 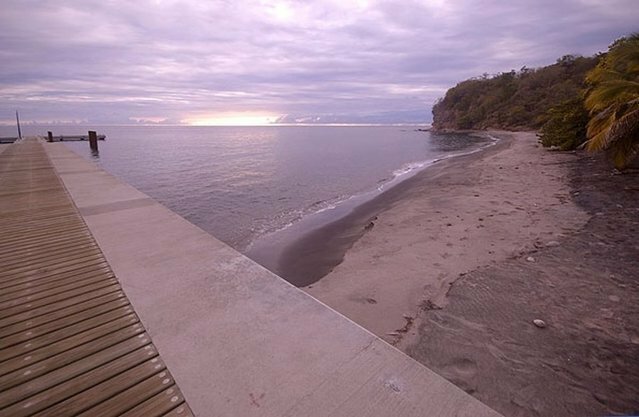 Nyah Valley Oceanfront Manor is a spectacular cliffside property nestled on 16 lush acres of valley and beachfront land on the unspoilt island of Dominica. Partially built and architected by Lane Pettigrew Architects, it is yours to finish as a residence or unique luxury resort. There are 4 distinct cottages in the main structure with the potential for up to 20 guest quarters. Other features include a 355ft jetty, a 140ft tower leading to 3 infinity pools, each with their own swim up bars. Completed permits and approvals including engineering, drainage, landscape & electrical drawings and plans. Dominica is one of the most pristine environments and top international diving destinations in the Caribbean. Additional benefit can be gained via its top-rated Citizenship Investment Program. This listing is co-brokered with Marni Ledwitz of ONE Sotheby's International Realty. Get details today. See photos, amenities and local information.